St. George, Utah FamilySearch Library is leading the way with the new Story Booth innovation. This is a fantastic opportunity for those living in the area to participate in this new program. We may have one of these in the Mesa FamilySearch Library or one of the other FamilySearch Centers in the future. These are NOT PhotoShopped... Imagine seeing any one of these WOW! I looked down through the collection and guess what? Every single one of the photos had been "Photoshopped." I find it strange that anyone would even think that any published photograph had not been manipulated in some way either by Adobe Photoshop or in some other program. A photograph is a representation of a reality created by the individual photographer not reality. One of the most renowned photographers of our time, Ansel Adams, spent a huge amount of time in his darkroom manipulating his images through dodging and burning to create the iconic photos we see today. There is no pretense that what is seen in an Ansel Adams print is "reality" however that is defined. See "Ansel Adams, and Photography Before Photoshop." From a genealogical standpoint, photographs are not objects to be admired for their artistic content, but merely windows into the past. 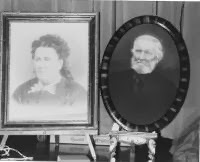 Unfortunately, genealogists are just as subject to making mistakes with photographs as they are with any of the other myriad details of our ancestors. I have my own example in a daguerrotype that has been widely circulated on the Internet and is claimed to be a representation of my 3rd Great-grandfather when it is historically impossible for it to be one. I am referring to multiple levels where photographs depart from reality. At one level, the issue is whether or not the photograph represents an actual event that could have been witnessed by another individual present at the time the photographer made the image. The second level, and the one most important to genealogists, is whether or not the image has been accurately identified and understood. For example, the statement above suggests that a witness present at the time the various photographs were taken, would have "seen" what the photographer say and that what was "seen" is represented in the photograph. I can assure anyone that my own personal experience in taking tens of thousands of photographs leads me to believe that it is impossible to witness a photograph. No other person can see what the photographer is "seeing" at the time a photograph is taken, no matter how casual and inexpert the photograph may be. But in today's world, that individual image, then becomes merely a starting point for the final image. Through the hundreds of tools available to "develop" a photograph, the photographer has infinitely more tools available than were available to some one such as Ansel Adams or any other darkroom photographer. You may not be aware that all this is going on or even understand what I am talking about or care, but you need to know that the camera is changing reality every time you take a photo. Almost all RAW images preserve more of the original information created by the camera but need to be "developed" before they look "real." Some of the changes made to photos by JPEG images are minor and usually will go undetected by the casual and uninformed viewer. But I can tell when a photograph has been manipulated 90% or more of the time even without examining the photo closely. I am sure you are back to the question that is asked me regularly, why do I care? Basically, some types of photographic manipulation rankle my soul. How about that. If you take my perspective on images and overlay that with the junk photos that come out of genealogy, I have a major problem. 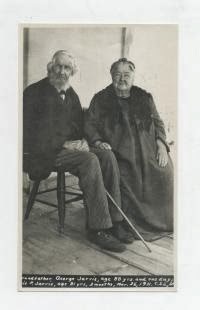 For example, here is a series of photos uploaded to FamilySearch.org's Family Tree Photos program. I have numbered the photos and will give a short explanation of the problems. You may argue that none of these issues impact the historical nature of the photo. There we would be parting company on the issues of manipulating photographs. 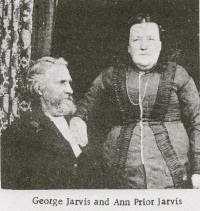 Here is the series of photos taken from a page on my ancestor George Jarvis. I have copied out each of the photos and given them a number for reference. 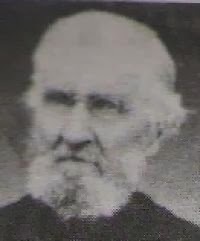 Right off the bat, #6 isn't George Jarvis at all and the image is not identified in Family Tree but is offered as an image of George Jarvis. Numbers 1, 2, 3, 10 and 11 are all the same original image but with different croppings and some are copies of copies etc. Numbers 9 and 5 may be the same as 1, 2, 3, 10 and 11 but they are too fuzzy or small for me to tell. Numbers 3 and 7 are the same image but #3 has been right-left switched. As a note, switching the orientation of an image can be easily done in any of the photo manipulation programs and is often an error when scanning or printing negatives. By the way, none of these images are "originals." In fact, none of them came from the original negative or print. All of them are copies of copies and not one of them gives even a modicum of reference to the time or place the images were made. That is, except #8 that I scanned from an original print in my collection of photos. I recently looked at a upgraded Ancestry.com app on my iPad and was surprised to see that the app asked for a link to Facebook.com. I decided to go for it and soon had my Ancestry.com family tree populated with people from my Facebook account. What I first noticed were the photos. Some of them were not exactly what I would want to include in my own family history. But then I began to notice that the relationships imputed by Ancestry.com were very strange. Very few of the relationship were at all accurate. I began to wonder what on earth this was supposed to accomplish? Anyway, I then began to think about all the comments I have had over the past few years about PRIVACY and the hand-wringing over living people appearing in family trees. Believe me, in about 30 seconds Ancestry.com used Facebook to automatically add more than thirty living people to my online family tree. The only thing missing was Social Security Numbers. I am still in the mode of trying to figure out if there is anything I need to do about this situation? I found living people that I know would be more than uncomfortable if they realized that this one tool has just put their entire family (with some random omissions) online for the world to see. One thought that does occur to me is that all the time people have spent doing descendancy studies for surname books could be immensely aided by this tool but privacy is really out the window. If you think about this for a minute. Most of those people voluntarily put themselves on Facebook.com and then Ancestry.com has all of the current U.S. Public Records Index to fill in any missing information about the living people. What is interesting is the number of details that can or could be added from Facebook.com. I also thought it was interesting if the people who are so anxious to share their daily lives on Facebook.com understand the consequences of their posts? Searching old maps is sometimes the only way to understand historical references to places. It is one thing to say that your ancestors lived in a certain place. It is an entirely different thing to understand what living in that place meant in the context of their family history. I have run into this type of situation many times when I am trying to separate out individuals with the same surname and either include them in or exclude them from family groups. The over 120 historical maps in the Google Maps have been selected by David Rumsey from his collection of more than 150,000 historical maps; in addition, there are a few maps from collections with which he collaborates. These maps can also be seen in the Gallery layer of Google Earth, Rumsey Historical Maps layer, and in the Google Earth viewers on this website. All the maps contain rich information about the past and represent a sampling of time periods (1680 to 1930), scales, and cartographic art, resulting in visual history stories that only old maps can tell. Each map has been georeferenced, thus creating unique digital map images that allow the old maps to appear in their correct places on the modern globe. Some of the maps fit perfectly in their modern spaces, while others (generally earlier period maps) reveal interesting geographical misconceptions of their time and therefore have to be more distorted to fit properly in Google Maps and Earth. Cultural features on the maps can be compared to the modern satellite views using the slider bars to adjust transparency. If you are working with old maps (and we all should be) then you need to be aware of this tool. In the past, I have written a number of blog posts about the connection between the Family History Library Catalog and OCLC. 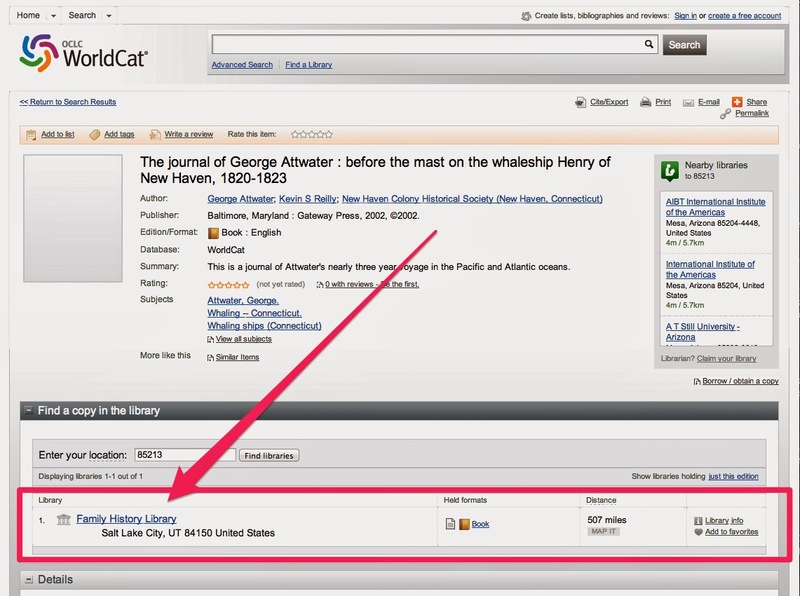 I have been watching to see when the catalogers would get to the point that a search in the WorldCat.org catalog would produce a link to the Family History Library Catalog. Yesterday, I got a Feedly.com notification about a post from Michael John Neill with a screen shot showing an item appearing in the WorldCat.org catalog with a link between the two catalogs. I wrote a very short piece about the link. Unfortunately, I had deleted the Feedly.com feed item and could not reproduce my connection to Michael John Neill's article immediately. I continued to search today when Pat Richley-Erickson pointed out that I had left out the link. She mentioned a discussion on Facebook. I must admit, I do not watch Facebook at all except when I get a specific notice. So I went back through all of yesterday's Facebook posts and found the short mention. I was then able to find the post from Michael John Neill. Going back through the Facebook posts reminded me why I do not follow Facebook all day and all night, although it appears that some of my family members and friends do so. 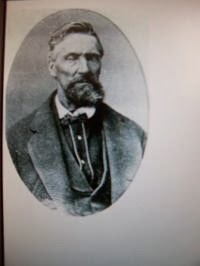 Here is the link to Michael John Neill's blog post on RootDig.com entitled "FamilyHistory Catalog a Part of OCLC." Sorry about the lack of a link yesterday. If I ever fail to give credit for any tips, unless given in confidence or through email, please let me know. I certainly want to recognize everyone for the work they do to keep us all informed. By the way, I had to figure out a search in the Family History Library Catalog that would show up in the WorldCat.org catalog and that took a while. This is something you might not see immediately and I would guess that the entire Family History Library Catalog is not yet linked completely to WorldCat.org. I would continue to look both places, probably forever. Entries from the Family History Library Catalog began showing up in WorldCat.org. 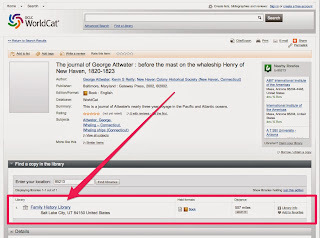 What this means is that if you are searching in the 2 billion entries in WorldCat.org's catalog, it will show if the items you find are in the Family History Library. Why is this good news? 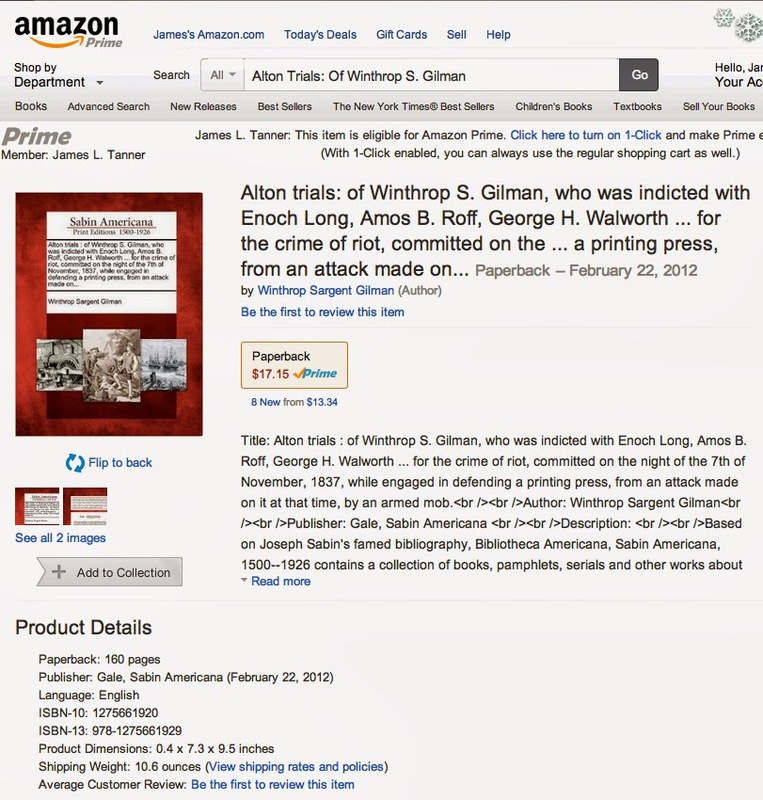 Well you also get an immediate indication if the item is found in any other library. I would suggest that this is one of the most important things that has happened so far this year to advance research into the Family History Library. I suggest that it might also increase traffic at the Family History Library when people begin seeing all of the resources available. There are still a number of good reasons to search for items first in the Family History Library catalog directly. This is especially true if you are researching in the Library itself. But considering the huge number of times I end up searching in WorldCat.org, finding things in the Family History Library is a bonus. How many times you use WorldCat.org is a pretty good gauge of the amount of research you are doing online. As a genealogist it is indispensable and now it is even more so with the Family History Library connection. 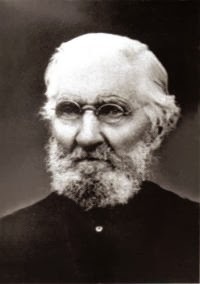 Thanks for a tip from Michael John Neill, I found this new view in FamilySearch.org's Family Tree. It is selected from a drop-down menu in the upper left-hand corner of the screen. So now there are three views: pedigree, fan chart and portrait. Genealogical research depends to a great extent on the ability of the researchers to gain access to copies of important documents that provide source material pertinent to establishing ancestral relationships. When those materials are kept locked away without public access our ability to find our ancestors is directly diminished in proportion to the degree of restriction placed upon access to the records. There are a number of ways that researchers are limited from obtaining documents that should be freely accessible. Trow, John Fowler, and William Sever Lincoln. 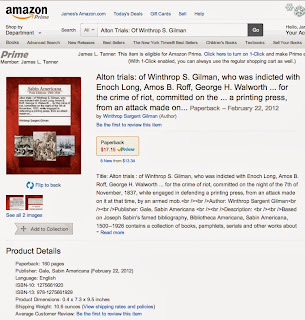 Alton Trials: Of Winthrop S. Gilman, Who Was Indicted with Enoch Long, Amos B. Roff, George H. Walworth, George H. Whitney, William Harned, John S. Noble, James Morss, Jr., Henry Tanner, Royal Weller, Reuben Gerry, and Thaddeus B. Hurlbut; for the Crime of Riot, Committed on the Night of the 7th of November, 1837, While Engaged in Defending a Printing Press, from an Attack Made on It at That Time, by an Armed Mob. New York: J.F. Trow, 1838. But this is only the beginning of the issue. What is even more problematic is that this same book is offered as book at the American Antiquarian Society website as a book in their collection but you cannot look at the book unless you are a member of the Society. What is wrong with this? Isn't that the same as Ancestry.com or whatever? Actually, it is the same. All of these organizations, take public domain documents and make them only available if you join their organization and pay for the privilege. This is not necessarily bad or good. If we take this example one more step, you can see the heart of the issue. Where else would this particular book be available? The easiest way to find out is to go to WorldCat.org and check the book and see who has a copy of the book. It is in quite a few university libraries across the country. I chose the University of Utah as an example, since I used to work at the library there. So now I want to look at the book. There is a notation that the book has "online access." Voila! I can only access this book if I am a student or faculty at the University of Utah and have a password to this particular database. Here is a book that is very obviously in the public domain and yet that particular book is locked up in a database that goes beyond Ancestry.com et al. and limits access to a particular class of people I cannot easily join, that is, being a student at the University of Utah or some other university. © 2012 Cengage Learning, Inc. All rights reserved. Republication, reproduction or redistribution of Cengage Learning, Inc. ("Cengage Learning") content, including by framing or similar means, is prohibited without the prior written consent of Cengage Learning. 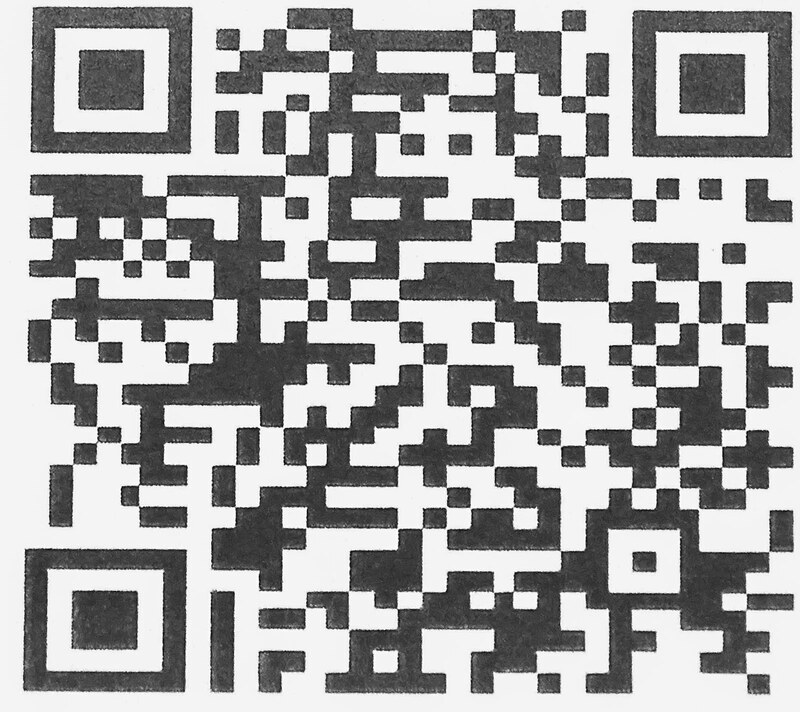 To request permission to photocopy, duplicate, republish or otherwise reuse Cengage Learning material, or for efiles for students with disabilities, go towww.cengage.com/permissions. I left this in the format from the website. In essence, this company is selling public domain books, that are otherwise freely available, to universities for a fee, obviously, and then the university is limiting access to that same database to only enrolled students and faculty. Here is the big question. How many limited edition public domain books are locked up in this sort of scheme? In the case of the book I chose, I could easily find another digitized copy. But what if that were not the case? Why is copyright being used to make money from books that are not subject to copyright? I guess I know the answer but this is not a political blog. By the way, if you live in Utah, your taxes are supporting the University of Utah so they can keep you from seeing and reading the public domain book. I chose this book because apparently, not all of the universities listed by WorldCat.org have actual copies of the books. What they apparently have, is a subscription to services that have the book but they put the book in their own catalogs as available. Are you qualified to be a genealogist? Somewhere in the world there may be someone who is qualified to be a genealogist. So far, I haven't been able to find any reference to that person. In today's technological jungle, we need highly qualified practitioners with such a huge variety of skills, that by the time those skills are acquired, our trained genealogists are all in care centers or cemeteries (literally, not figuratively). Let me start talking about a few of the skills needed to be a "genealogist" and perhaps you will see my point. Of course, we all acknowledge that genealogists are interested in their family. Having an interest in something doesn't make you qualified to do anything. For example, I am interested in space exploration but that doesn't make me an astronaut. So there must be something more needed than just a threshold interest in family stuff. I am sure that I am more confused than when I started. I think my old standby Merriam-Webster has missed the point. Genealogy isn't just about descent, it is also about ascent. I don't just pick an ancestor and trace descendants, I look for ancestors on all my family lines and then some. But then maybe we can get an idea of what a genealogist is by looking at what they have to do. Genealogists today need to be highly qualified computer specialists. Just to find out what has already been discovered about any family requires some pretty substantial hardware and software skills. Whoa, you say. What about the contribution of all those people who can barely turn on a computer but find huge amounts of information about their families by working in libraries and archives? Wait a minute, do we or do we not need computer skills to be a genealogist? If we have no firm or satisfying definition of what a genealogist is and cannot even agree as to whether knowing about computers is part of the set of skills necessary, then what can we decide is the common denominator for becoming a genealogist? Maybe we can turn to the certification folks. Certainly, they must have some kind of idea about what they are certifying? Oh, Oh, we find no mention of computers or computer skills in any of the certification requirements. But then why do they all have websites listing the requirement for certification or accreditation? If I had no computer skills and no access to the Internet, how would I even know there was such a thing as an accredited genealogist? Are computer skills part of the mix or not? Wait a minute, aren't almost all the library catalogs in the world now on computers? If I didn't have any computer skills how would I know if there were any documents or books about my family even in my local public library? How would a pencil and paper help me in that situation? Let me move on for the moment. A genealogist certainly must be able to read and write. Does that raise any issues? Does anyone check to see if a potential genealogist can read? Or write? Maybe we just ignore that issue and move on to something else. Although I can think of a lot of jobs in the world that require a test before they let you work. I remember taking something called a Bar Exam about 39 years ago, but maybe we can ignore that issue also. Who is going to test the genealogists to see if they can read and write anyway? How about the ability to read cursive handwriting? Well, we seem to think that all sorts of young people can do "family history" without this skill. In fact, we want them all to do Indexing and make no effort to determine whether or not they can even read the records we are asking them to index. So, handwriting is out as a skill? Yes or no? I think I am getting hopeless confused. What about familiarity with a variety of foreign languages? What about research skills? Understanding libraries and cataloging systems? Using scanners, cameras, audio recorders? Anyone for adding any of those skills to the pile? I also find no mention of those skills on any of the websites for accreditation or certification. Maybe all that is just implied? I just re-read my post so far and I am ever more confused than when I started. What is a genealogist? At this point, I have no idea whatsoever. I have reasoned my way out of almost any of the possible qualifications and can't figure out what is left. It looks like I am back to a mere interest in ancestors. But what is the definition of an ancestor? Is your uncle's wife your ancestor? Is your Grandfather's third wife's second husband your ancestor? Time for Merriam-Webster again. An ancestor is "a person who was in someone's family in past times : one of the people from whom a person is descended." So what am I doing at the Mesa FamilySearch Library helping all those people find their ancestors? 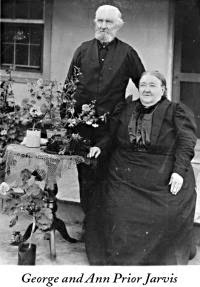 How can I be a genealogist if I am not looking for my own ancestors? So you can be a genealogist and never look for your own ancestors? Wait a minute, there is something really wrong here. I can be a genealogist but there are no qualifications and I don't even have to look for my own ancestors? I think I will have to stop using the word altogether and start using family history. Now, maybe I should look up the meaning of "family" and "history" and see where that gets me? Maybe I should think about changing the name of my blog? I am so happy I started this post. It has certainly clarified things for me to start out my day. If you have finally become fed up with your own family, why not do what many online family tree contributors have been doing for years, simply divorce your "real" family and choose one you like better. That way you don't have to worry about those pesky things like citations and such, all you have to do is dream. Haven't you always wanted to impress your friends with your family relationship to famous people or even the kings of Europe? Well, now is your opportunity. There are no formalities here at all. Just begin deleting those annoying relatives and replace them with 100% bona fide selection from our online catalog of Impressive Family Lines. Did you always want to claim Elvis as a cousin. No problem. How about a line back to Adam. We have several to pick from. Your Aunt Sue tried to convince you that you weren't related to Pocahontas. Just take Aunt Sue right out of your line with our convenient Ancestor Removal App and sign up for any one of our amazing verified, absolutely reliable family lines back to a real Indian Princess, Pocahontas herself. Afraid that no one will notice how important you have become since you started using Impressive Family Lines? Sign up for our real time data package, the Family Blaster. The FB (Family Blaster) will automatically post every change you make to your newly minted Impressive Family Lines and post them to every known social networking program in existence at the time of the change. As recent news articles have commented, Impressive Family Lines, is a deal changer. Why stay with your old stodgy and cantankerous family members, when in just a short time after subscribing to our program, you can have a glamorous and much more impressive set of relatives. What is even better, these are relatives that you never have to see or talk to. If you read our fine print, you will see that membership in Impressive Family Lines does not provide access to any of the major or minor heritage groups. But who needs to be a descendant of the Mayflower Passengers when you can be related to Tom Hanks and Harrison Ford? If you sign up for our Super Premium High Value Program, in addition to regular postings on Facebook and the social networking programs about your relationship with famous people, we also include automatic posting of your Impressive Family Lines on 100 of the top online family tree programs to get you maximum bang for your buck. If you elect to go with the Advanced Super Premium High Value Program, we will also make sure your family tree always appears first in an online search for any surname in the world. Yes, you too can show up first in Google. Don't delay. This offer is only available for a limited time. We have a sentencing hearing scheduled in two months. Looking for new relatives to take to the temple? Is your pedigree picked over? Is there really no work left for you and your family to do? The Puzzilla.org Descendants Viewer lets you see hundreds of descendants of your ancestors from an aerial view using compact symbols to reveal patterns of incomplete research. You can pick up where prior research left off. 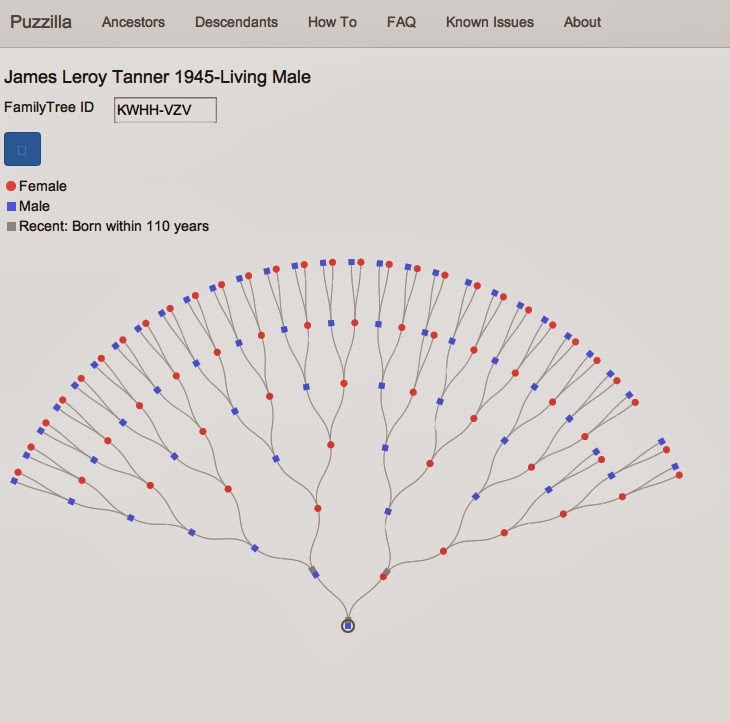 Click on a pedigree ancestor and Puzzilla will show you their descendants, revealing holes where research might uncover spouses, children, and generations of relatives waiting for you to find them. 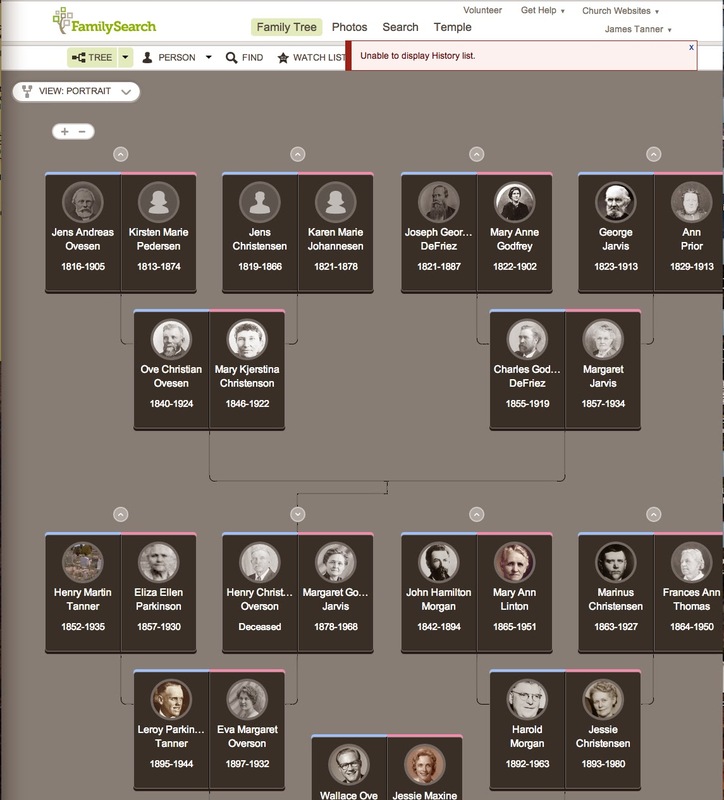 Here is another screen shot after having chosen one of my ancestors and showing the descendants. 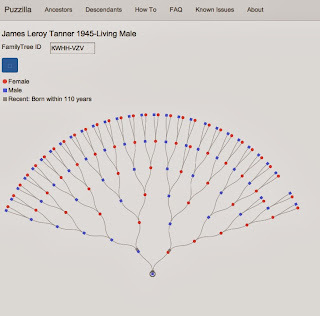 Each of the dots represent an individual descendant of my remote ancestor James Parkinson. 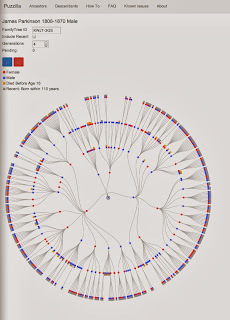 Using this graphic representation of the family lines available in Family Tree, it is amazingly simple to find lines which have no representation in Family Tree. You absolutely need to try out this fabulous addition to Family Tree. If you don't get what it is trying to show you, just take time to watch the introductory videos and play around with the program. 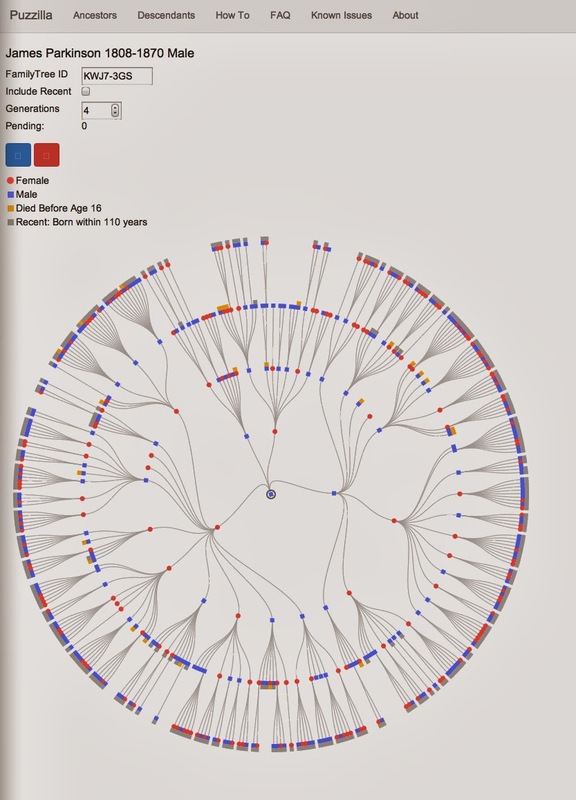 You will soon get the idea and see the value of having a graphic display that shows you places where Family Tree needs additional information. A positive "track 'em down" attitude is important. Avoid discouragement or thinking that genealogical research in a "burned county" is hopeless. The first and most important step to finding ancestors who lived in a burned county is creating a relentless "track 'em down" mindset no matter how hard it is, and no matter how long it takes. A more insidious issue occurs when a researcher encounters gaps in any particular record. The most common gap encountered is in the U.S. Federal Census records for 1890. Contrary to popular belief, the 1890 Census was not entirely destroyed by fire. Parts of this census were destroyed by fire but the remaining documents were maintained for many years and then finally destroyed by an act of the United States Congress when the head of the Library of Congress failed to recommend that the records be preserved. If you would like to read the real story about the destruction of the 1890 Census see "First in the Path of the Firemen"The Fate of the 1890 Population Census, Part 1" By Kellee Blake. Of course, as your research extends further into the past, you will undoubtedly find more and more records missing of any particular series. For example, if you examine Catholic parish registers in Mexico you will find that some extend back into the 1500s while others only extend into the 1800s. Without doing a substantial amount of historical research, you might expect that the records were missing. However, the real reason was likely that particular parish you're looking at was not active prior to the earliest records. Any pertinent records were likely kept in some other parish. Sometimes the records are not missing due to any catastrophic occurrence merely through neglect. Research logs are a must. Burned county research is not easy. The more difficult or complex a research problem becomes, the more valuable good research logs are. They are a cornerstone to good research and filing systems. Research logs show what has, and (just as importantly) has not worked. Also, use logs to explain in written comments your thinking about search strategies and what you are trying to accomplish—why you turned to that set of records. Although this paragraph refers to "burned counties" it is also applicable to the situation where any records are missing for any reason. In some instances, such as my example for Mexico, there are civil registration records that were kept contemporaneously with the parish registers. In a place like Mexico, you can run out of records rather rapidly. 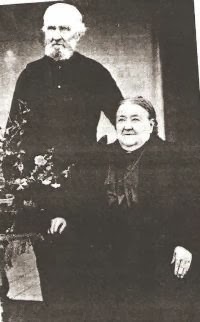 Carrying on with the example from Mexico, if the records were lost or missing, you might become aware that copies of all of the parish records, before independence, were sent to Spain and are in the Spanish Archives. So lost can be relative. In the United States it would also be rare not to have alternative records to search even when certain types of county records have been destroyed. Focusing on one type of record to the exclusion of others is usually at the root of the problem. Turning to the burned counties problem, certain types of records must be reconstructed for the county to operate. Counties cannot exist without land records, tax records, marriage records, and many other types of records. In addition, in many places throughout the United States, copies of land records are kept by title companies and abstractors. If you realize how land sales work in the United States, you would immediately realize that a courthouse fire would merely be a temporary impediment. Land records would have to be reconstituted in order for property to be bought and sold in the county. Lost records or missing records are really an invitation to extend your understanding of the type of records that could have been maintained and likely were maintained that cover the gaps in your favorite records. Follow the rest of the extensive suggestions on the Research Wiki page for Burned Counties. You can click on any image to see it full size. OK, so after I wrote the two blog posts on this problem and sent Google a request for help and posted the problem in detail on the Google Help Forum, I got quite a few helpful suggestions. I also had some long discussions with programmers around the world. 1. The problem is entirely confined to Blogger. 2. The problem is not with any one browser. All of the browsers see the same font problem. I have tried Internet Explorer on a PC, Safari, Opera and FireFox in addition to Chrome. 3. The problem is not confined to any one computer or operating system. It shows up on PCs running Windows 8.1 and on iPads running Apple iOS. 4. It does not involve a language selection issue. I have gone to every level of language selection available and made the selection to English and it makes no difference to the Blogger interface. 5. It does not involve a cookie or whatever. I have completely reset and removed all cookies and that also had no effect. So, the problem is with a command that is coming from the Blogger program thinking that I need Amharic. Thanks so much to all those who have made suggestions so far. We still need to analyze how the program is omitting the code, but it does help to be able to clear up the menus temporarily. When this first happened I thought it might be a malicious attack on my blog. But I began to be convinced that it was a settings problem. Now I am beginning wonder again if there isn't a code problem with Blogger that only Google can see. Of course Google has been absolutely no help at all and has not responded to my reported complaint. Will all the books in the world be digitized? I guess my first comment on this subject would be, don’t hold your breath. But this is a real concern for genealogists and others and cannot be dismissed quite that cavalierly. This is especially true when there are some very large companies in the world that have as a goal the digitization of every book and in some cases, every record in the world. But let’s assume that the number really is around 130 million or so. Could Google digitize all those books? Well, the answer is if they had them available to scan, yes they could. According to some estimates, Google has already scanned over 30 million books since starting in 2004 and has done over 10 million in that last year. At that rate, they would be “done” in about ten years. But the real questions is not whether Google is going to digitize every last book in the world, but whether or not someone or anyone is going to do so. Of course if you think about it for a minute (or more as the case may be), you will soon realize that there are some rather apparent insurmountable obstacles to achieving this goal. There are the physical limitations of access created by national boundaries and attitudes. Do you really believe that every library in the world is just going to sit there and let Google (or anyone else) waltz in and start scanning away? Don’t think I have ignored the issue of copyrights. Really copyright isn’t an issue with the digitization of books, it is only an issue with what can happen to display or make the digitized books available online. I give you an example of one problem. 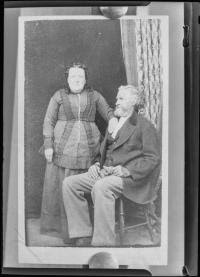 This problem hits home because it is sitting in the Mesa FamilySearch Library. Many of the books in the Mesa FamilySearch Library are essentially unique. They are very limited editions. What's more is that they are extremely unlikely to been included in Google's estimate of the number of books. So, the question about whether or not all the world's books will be digitized is not a legal issue, neither is it a digitization issue, in the end it is a totally practical problem of making all of the books available to be digitized. Now, I should mention that many of the books in the Mesa FamilySearch Library have already been digitized and are already available online on FamilySearch.org. But under present policies and procedures, the remaining books that are under copyright and unique or in limited editions, will likely not be digitized ever. In this context ever means until the copyrights run out and that is a very long time assuming that additional extensions of the copyright coverage are not passed by the United States legislature in the future. So the answer to the question is 42. "Good Morning," said Deep Thought at last. "Er..good morning, O Deep Thought" said Loonquawl nervously, "do you have...er, that is..."
"An Answer for you?" interrupted Deep Thought majestically. "Yes, I have." "There really is one?" breathed Phouchg. "There really is one," confirmed Deep Thought. "To Everything? To the great Question of Life, the Universe and everything?" "And you're ready to give it to us?" urged Loonsuawl. They both licked their dry lips. "Though I don't think," added Deep Thought. "that you're going to like it." "Doesn't matter!" said Phouchg. "We must know it! Now!" "All right," said the computer, and settled into silence again. The two men fidgeted. The tension was unbearable. "You're really not going to like it," observed Deep Thought. "All right," said Deep Thought. "The Answer to the Great Question..."
― Adams, Douglas. The Hitchhiker's Guide to the Galaxy. Ballantine, 1980. Many years ago, I read a popular book called How to Win Friends and Influence People. (Carnegie, Dale. How to Win Friends and Influence People. New York: Simon and Schuster, 1981). Conspicuously absent from that book was the practice of doing software reviews. This is especially true with genealogy software reviews. In my opinion, doing reviews was a way to lose friends and make nearly the entire genealogical community upset in one way or another. Now I have to admit, I much admire my friend, Randy Seaver in his Genea-Musings blog where he displays his extreme technical ability to analyze programs and meticulously go through each of the features. You never know, I may change my mind tomorrow and start doing the same kinds of analysis. But this is not likely. My concern about software reviews for genealogy programs obviously does not extend to online programs especially those hosting family trees. Whether any particular program is good or bad or works for any particular purpose is ultimately decided in the competitive marketplace. Hundreds of genealogy programs have come and gone over the years. One of the most popular programs of all time was Personal Ancestral File. Despite its popularity, or perhaps as a result of its popularity, the program was discontinued in 2002. Amazingly, there are still huge numbers of genealogists using this program and I find references recommending the program in newsletters, blog posts and comments made by volunteers at the Mesa FamilySearch Library. My point is that purchasing software for your own computer is sometimes based on irrational behavior. If I chose to review any particular genealogy software program available today and set aside my rule against software reviews, I am afraid I would make that program appeared be totally worthless and poorly designed. I can tell you what is wrong specifically with every single software program I use. When I buy a product online or go looking for a product in a store, I will almost always read the online reviews. This is especially true if I am purchasing the product for the first time. Now, if I read and use reviews why don't I write them myself? I have actually struggled with this question for a really long time. If you are a blogger and get to a certain level of market awareness with your blog, you will always have people coming to you for endorsements of their programs or products. Some appreciate a mention of the product. Others offer free versions of the programs or product hoping that you will say something positive or indicate that you use the program. So what is the difference between mentioning a program in a blog post and writing a software review? Maybe I need to think through the answer to that question more carefully than I have in the past. The real reason why I have avoided specific genealogy software reviews is pretty simple. I like all the programs and I think that each program has positive features that make it a desirable product. This goes back to my comment above about my ability to pick the program to death. People are still using Personal Ancestral File because they like the program and are comfortable with it. I think you should choose a program on the same basis: you like the program and are comfortable with it. If everyone followed my personal preferences, we would all be driving Prius automobiles. I have tried to pick Personal Ancestral File to death and have had little or no effect on the people who continue to use the program. Now why do I discuss online programs? Here the answer is a little more complicated. If I were a normal software user, which I am not, I would choose a program and use it almost exclusively. Online programs are not exclusive; they do not operate under the same rules as do local database programs. You may not see the distinction but I think the distinction is very important. Perhaps an extension of my example of the Prius automobile would help explain my position. If I had unlimited funds I would probably own a dozen different types of cars and trucks. Would I go online and promote one model or manufacturer over another? Probably not, for the same reason that I don't do software reviews. At the same time, would I go online and write about the road system or traffic laws or any other subject having to do with the operation of motor vehicles? Maybe. We all have equal access to and can use the online services such as Ancestry.com or FamilySearch.org or MyHeritage.com because their content is easily distinguishable. Whether you like Ancestry.com or not as nothing to do with its utility as a online's resource. Personal preference is a huge factor in purchasing an individual desktop computer program. So I stay away from recommending one software product over another. I do appreciate new innovations and features that are valuable. I will continue to mention products I think should have your consideration. I will not sit down and do a point by point "software review" at this time. Unless I change my mind. This is the kind of topic that would be easier to explain in person than it is in writing. During the past year there have a been a plethora of updates and new versions of many of the genealogy programs and genealogy utility programs. I have been compiling a list of programs to go through and have managed to look at a few but the others were still piled up waiting their turn in line. In many cases, I had to take the time to spend a few dollars (or more) to upgrade to a new version of the program. I finally decided to knuckle down and go through them all and see if I had anything to say about each one of them. I probably need to write a post about software reviews (and probably will) because I have a some pretty defined opinions on that subject. But any comments I make about software programs should not be taken as my review of any one of these programs. I would not consider mentioning a program, much less upgrading one on my computer, if I did not think the program was a valuable genealogical tool. Neutrality can make you look wishy-washy, but I really have used all of the products I mention at some time or another for specific purposes. I refer to my photo above and I have used this example previously. If you were going to build a house and you were given a hammer and a saw, could you do the job? 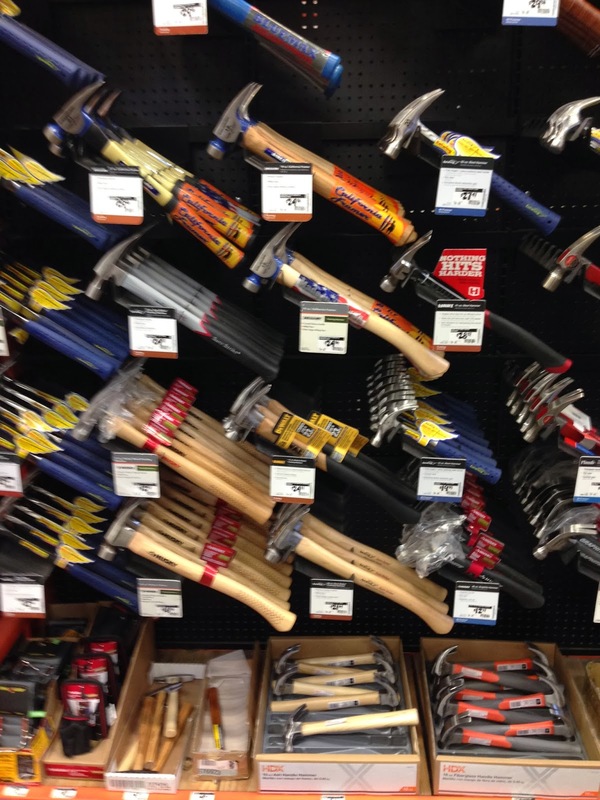 I would suggest that you might want a few more tools. Well, I view genealogy software programs as tools. I have not found the perfect hammer yet and I am unlikely to find the perfect genealogy software program in the near future. But they are all useful and if you like one or another of the programs, I can certainly see why you do. Most of these (all?) programs have trial versions for free. Sometimes the trial versions are exactly the same as the full-blown program but with limited name capacity. Other trial versions have a limited time they remain operational. More commonly, the trial version is a cut-down version of the full program and the software developers are counting on you liking their program so much that you will pop for the full purchase price. I have the full versions of all of these programs. I am frequently asked which of all the programs do I think is the best? I realize that my answer is less than useful when I say they all are. See that photo of the hammers? Which one is the best? That is why I answer the way I do. Now, should I make a list of the list of programs I use? It just occurred to me that if I do, someone will probably immediately ask the question as to why I didn't include their favorite program in this list? The answer is simple. I am not trying to list every singe program available. If a program doesn't appear on this list it is either because I haven't had time to look at it yet or I am not interested in the program after looking at it in the past. At this point, I am reminded of Judy Russell's "The Legal Genealogist's Christmas Wish 2013." It is beginning to sound like I am writing a disclaimer. Now if you want to read software reviews, then you need to go to Louis Kessler's website GenSoftReviews.com. You can see the ratings and read the reviews of almost any program in existence. Louis lists well over 500 genealogy programs and utilities, many of which no longer exist but may be floating around out there on older computers. Using an ancestor's name for research is usually highly overused and very overrated by many genealogical researchers. I have written in the past about researchers who get some hung up about how their family name is spelled that they cannot do any effect research at all. I do think that understanding naming practices on various levels is essential to understanding any of your family history. Onomastics or onomatology is the study of proper names of all kinds and the origins of names. The words are from the Greek: "ὀνομαστικός" (onomastikos), "of or belonging to naming" and "ὀνοματολογία" (onomatologia), from "ὄνομα" (ónoma) "name". Toponymy or toponomastics, the study of place names, is one of the principal branches of onomastics. Anthroponomastics is the study of personal names. Onomastics can be helpful in data mining, with applications such as Named-entity recognition, or recognition of the origin of names. One of the earliest experiences every genealogist shares with all other genealogists, is learning that their "unique" family names are seldom unique. Because of this fact, names have limited utility in discovering information about our ancestors. There is no uniformity in the structure of names and the common U.S. pattern of a first or given name, followed by a middle name and finally a surname is not always followed. There are people without middle names. People with hyphenated names. People from other cultures that have names of a completely different pattern. In the context of talking about establishing genealogical standards, I have written about some aspects of this subject in the not too distant past. but I thought it a good time to explore some of the historical and cultural aspects of names that directly impact genealogical research. Standardized naming practices usually reflect the degree to which religious, military, commercial and industrial concerns impact a particular culture. The way in which a child receives a name vary considerably across cultures, but in many cases, giving a name is a significant event in the lives of the parents, the child and the extended family. Many cultures and some religions have specific name giving ceremonies that are a significant part of the child's early life. In some cultures, the child is given one name at birth and then another as the child matures and a name that is more appropriate is discovered. In some cultures, children are named after specific relatives in a specific order. In others the names come from physical, spiritual or other characteristics inherent with the individual. Even in Western European society, the traditional naming pattern takes a variety of forms. Unfortunately, genealogy as it is represented by the vast majority of software programs and online family trees, ignores many, if not most, of the variations in naming patterns across the world. Most of those patterns have changed dramatically over time. I have run into two naming issues that illustrate some of the challenges associated with genealogy over and over again in helping others with their family history. In the early 1500s and 1600s, the Spanish Empire began its expansion into one of the largest territorial empires the world has ever seen. Even today, Spanish is considered to be either the first or second most spoken language in the world. See Wikipedia: Spanish Empire. In today's world, Spanish is the primary language of an estimated 407 million people and the United States is the second largest Spanish speaking country in the world after Mexico. More people speak Spanish as a native language than speak English. See Wikipedia: List of languages by number of native speakers. Do you understand Spanish naming practices? This question is obviously directed at my English speaking audience. But the question is important for the reason that many of us "English speaking" people have Spanish ancestors. Does your genealogy database program support Spanish naming patterns? Here is the core issue of genealogy; its inability to reflect cultural and historical differences on a global scale. Of my six or seven software programs, only two are available in Spanish and even then the Spanish naming patterns are still not well accommodated. The second problem is a little more esoteric. It deals with the issue of surnames. Many European countries had no standardized surname practices until the mid-1800s. In England King Henry VIII ordered marital births be recorded under the surname of the father in the 1400s. Notwithstanding this fact, genealogists become fixated on surnames. Now I didn't get into the problems of spelling, the changing of surnames by immigrants and the issue of whether the wife changed her name upon marriage, but with this little review, I hope you can see that genealogists need to learn a lot about names. But more importantly, our software and online family tree programs need to begin to reflect historical cultural reality. I am reminded of a practice that occurred in the United States during the 1800s and into the 1900s. Many Native American children were removed from their families and forcibly required to attend "English only" schools. When the children first arrived at the schools, they were assigned English names and forbidden to use the names they had been given in their native language by their parents. One way of assigning the names was with a name board consisting of a selection of about twenty or so given names. The child was taken to the name board and given a name. Aside from the outrageous nature of this practice from a cultural standpoint, it is a nightmare for the genealogists. Guess what? There are many such nightmares in the area of names. The first mention of the term "Internet" was in a publication entitled, "Specification of Internet Transmission Control Program," date December 1974 by Vinton Cerf, Yogen Dalal and Carl Sunshine. My introduction to the Internet took place on Scottsdale, Arizona Community College computers while I was teaching computer classes and I had access to usenets and bulletin boards. One day in 1993, we heard a rumor that a new type of Internet program was circulating called the World Wide Web. Two of the Internet connected computers at the College were set up with the new "Browser" called Mosaic. Using one of those two computers, I was able to get onto the Internet and look at the "websites." There were a total of six websites available to view. I could immediately see that this was a game and life changing development in computers. Now, twenty or so years later, I am still amazed at the developments on the Web and have not lost my initial fascination with all things connected to the Internet. As soon as we got access to local servers, my brother and I began learning HTML and designing webpages. At one point, we had 42 different websites we had designed and were maintaining in conjunction with our graphic design business. Although, I had been involved in genealogy for more than 10 years, it took some time for the rudimentary genealogy computer programs to start to have any contact with the Web. The idea that the Web would become an important factor in the genealogical community did not take root until many years later. From 1993 to 1998, I had to retired from the active practice of law to run a computer store. During that time, I took every technical training class I could manage to attend from Apple, Hewlett-Packard and other computer manufacturers. The computer techs in the classes thought it was a novelty that the owner of the company was there learning how to take care of computers. As networking became more important and the Web began to grow dramatically, I kept up with all the developments and installed many local area networks. As it happened, because of some family issues, I chose to return to the practice of law. During all of this time, I kept up my interest in genealogy and maintained my contact with the world of computers. Genealogy and computers are natural companions. 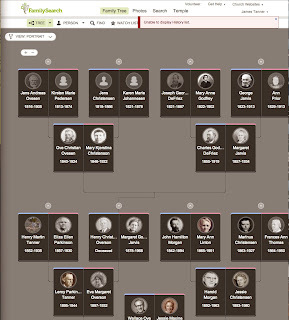 Genealogical research produces tons of complex relationships and documentation that need to be stored and computer programs provide a superior method of organizing and retrieving that information in a way to make it useful. As computers and operating systems continue to develop over that time period, I moved from CP-M to MS-DOS to Apple DOS and on to each succeeding operating system. I would guess that I worked on nearly every computer model from Apple. I mentioned this before, but I was present at the introduction of the Apple Macintosh computer in San Francisco, California in 1984. I was also one of the users of prerelease versions of most of the Windows programs from Microsoft. In those early days, we usually got to see and work with a fairly good representative sample of all of the personal computers available from Commodores to Kaypros and from TRS-80s to the IBM personal computers. During all of this time, I kept acquiring every successive genealogy software program that I could find. Most of them were awkward and very difficult to use. That world began to change with the introduction of Personal Ancestral File. From 1984 until around the year 2000, Personal Ancestral File was the predominant software program. Although, there were a few contenders no one seemed to be able to make program that was as simple to use and still accommodated the needs of a genealogist (I am sure I will hear about this statement from those who disagree). So now we fast forward to today. The computer and genealogy worlds have become unimaginably complex. There are dozens of excellent genealogical database programs. The Web has taken over practically every aspect of our lives and we live in an Internet fueled technological time warp. As for me personally, I sometimes feel like my world has expanded to such a great extent that I have very little time to actually do all of the things that seem available in the vast world of genealogy online. I am very frequently asked whether or not I ever sleep. I can assure you that I do. I also hear comments about the quantity of material that I seem to write. We could take a vote and see whether or not my blog readers want me to cut down on the number of posts I make? But from my perspective, there are so many changes and so much new material to cover that I can not imagine slowing down or stopping. I do have to admit, that I have gone to voice recognition software as a way of keeping up with all of the topics that I seem to develop each day. In this Christmas season I certainly wish to thank all those who have made such kind comments to my blog posts over the past years and wish all a Merry Christmas and a Happy New Year, with many more to come. I might add, if you like anything that you read here, please take the time to share the links with your friends and fellow genealogists. Thanks again. Flash Drive Disaster -- Genealogists Beware!!! What is a genealogical source? Where will genealogy be in five years? Ten years? Do Genealogical Brick Walls have cultural roots? Does Genealogy need to be Internationalized? Died in the House -- a useful tool? What is Digital Preservation and why do I care? Gadget or Tool -- What do you think? Free Birth and Death Certificates?